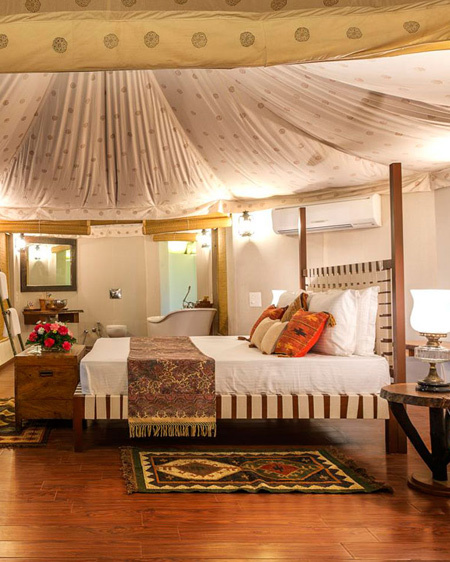 Each of the 45 rooms and tents are luxuriously furnished, spacious and blessed with spectacular uninterrupted views of the surrounding ravines and forest, ensuring that your stay at Gaj Retreat is anything but ordinary. 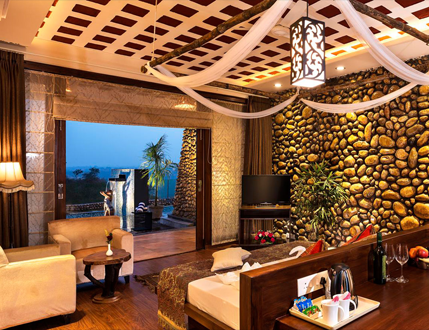 Lavishly adorned luxurious hotel rooms with private pools with separate luxurious living and bedroom areas. 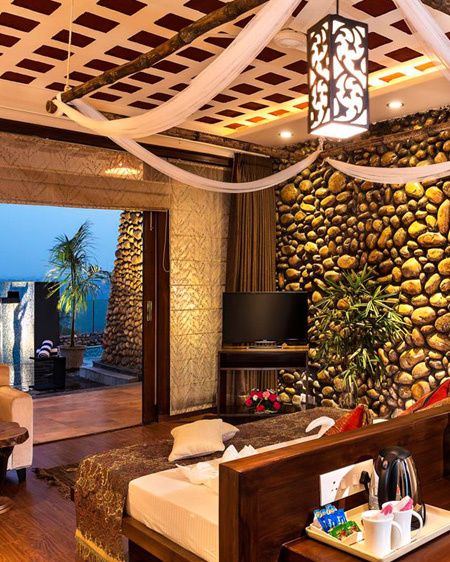 Bright, airy and chic, these..
Lavishly adorned luxurious hotel rooms with private pools with separate luxurious living and bedroom areas. Bright, airy and chic, these rooms are well-equipped with modern guest amenities, including newly-designed colonial bathrooms with a bathtub. 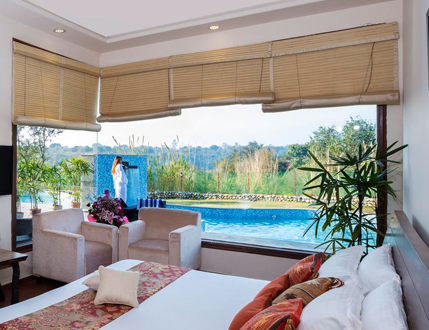 Signature Chateaus offer a gorgeous view of the forest from the private balcony. 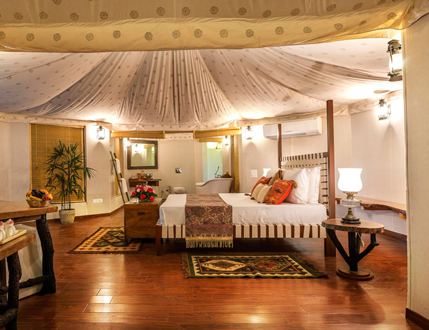 Spacious Bedroom with king sized bed, and..
Signature Chateaus offer a gorgeous view of the forest from the private balcony. Spacious Bedroom with king sized bed, and a private pool on the ground level. Super luxury tented accommodation providing a private & exclusive highland escape, victorian bath tubs & shower cubicle adds to the..
Super luxury tented accommodation providing a private & exclusive highland escape, victorian bath tubs & shower cubicle adds to the living comfort.